Verdi Peak is basically a knife-edged ridge with an abandoned lookout occupying the only wide spot on the ridge, and the ridge isn't very long. This makes erecting an HF antenna a bit of a challenge. 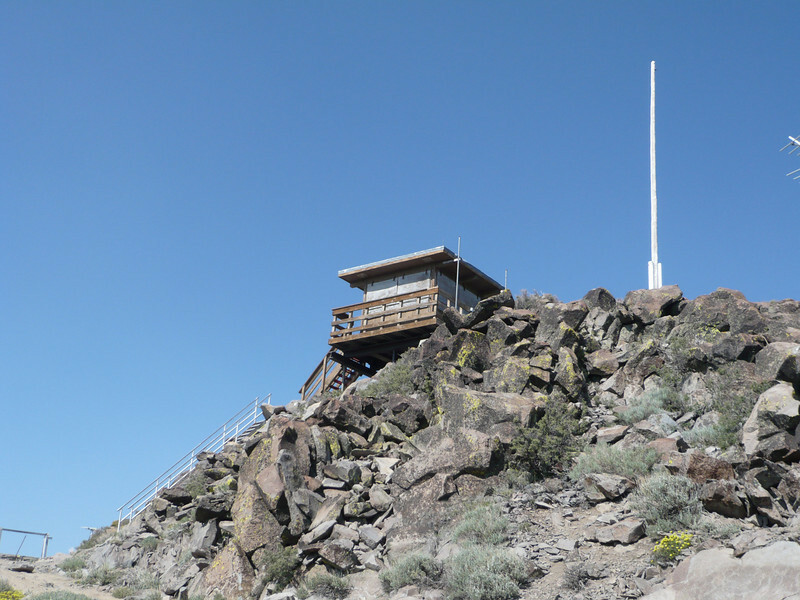 This is an old picture that I took on a prior visit and is looking up at the lookout from the southwest. The east side is a sheer cliff, and the prevailing west winds like to blow things over that cliff.